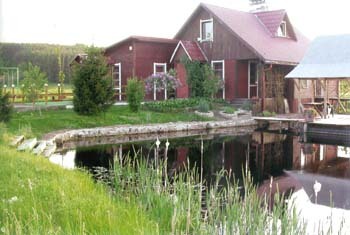 Homestead in the steading in Semelikiai town, 50 km from Vilnius with the lake and a forest close to it. The house has been built in 2002. It is a modern house with all conveniences, a pool inside and three different saunas. Fishing is offered in the pond at the house. Perfect recreation both for those loving quietness and active recreation. A lake is nearby.